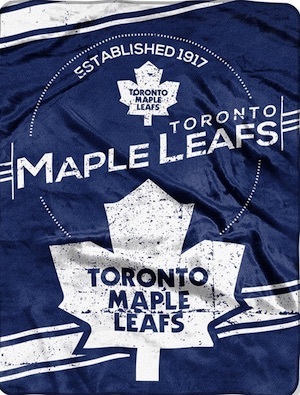 One of the historic "Original Six" teams, the Toronto Maple Leafs have not enjoyed regular title success since the 1960s but still feature a rich history and large fan base. 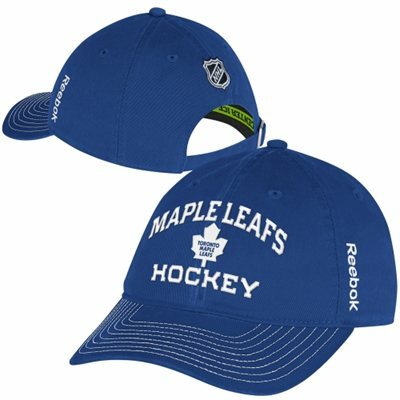 With gift shopping in mind, the following guide features top gift ideas and suggestions for fans and collectors of the Leafs. 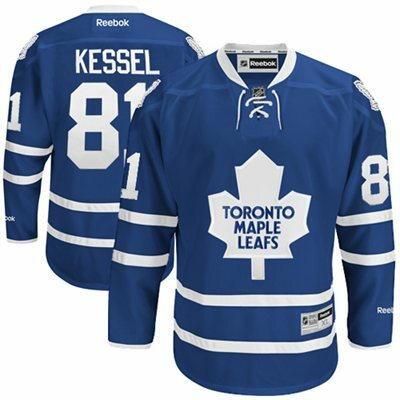 Those that are interested in more detailed information about the Maple Leafs should check out our comprehensive Toronto Maple Leafs Collecting Guide. 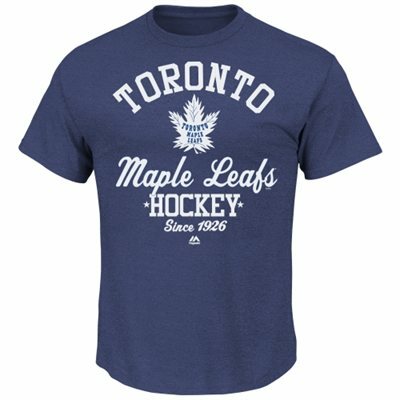 The list below contains 20 different gift ideas that would perfect for fans and collectors of the Toronto Maple Leafs. Specific items and broad suggestions are both available along with a variety of price points that can fit into most budgets. 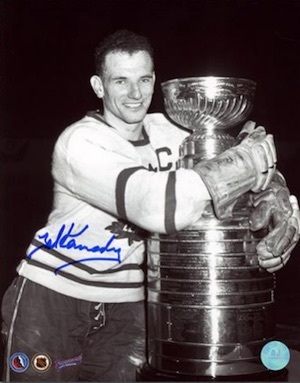 Ted "Teeder" Kennedy spent his entire career with the Leafs and was a main component of their titles teams in the 1940s and 1950s. 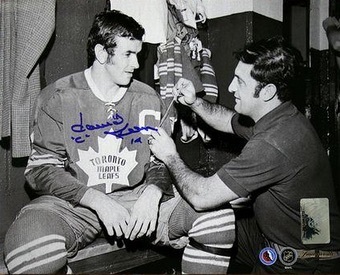 One of the biggest names in the history of the Maple Leafs, signed photos for the Hall of Fame centre are not in great supply but prices are reasonable. Another Hall of Fame name from the history of the Leafs, Frank Mahovlich was a star player for the team and part of four title teams. After a falling-out with coach Punch Imlach, Mahovlich was traded to the Detroit Red Wings. Fans still remember him fondly and signed pucks are a fun gift option, especially when space is an issue. 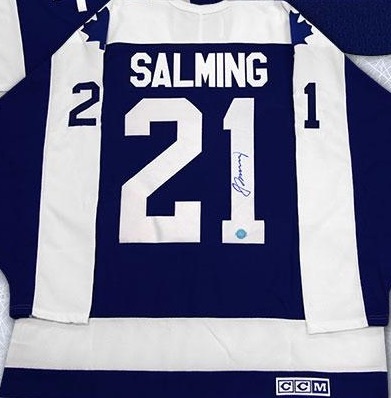 A top defender of his era, Borje Salming is a fan favorite for the Leafs. The Swedish-born Salming was one of the earliest European imports to see success in the NHL. A signed jersey presents a terrific premium gift option. Strong on defense and offense, Dave Keon remains the only player for the Maple Leafs to win the Conn Smyth Trophy. A signed photo offers a great gift option for a fan of the team. A top scorer in the team's playoff history, Wendel Clark came up big when it mattered most. He played for the Maple Leafs on three separate occasions, along with five other NHL teams, but is mostly remembered for his time with Toronto. His signed jerseys are not cheap, but can be a fantastic premium gift. 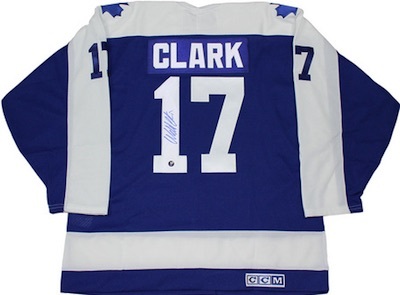 View more signed items for Wendel Clark here. The overall leader in career points for Toronto, Mats Sundin is another Swede who did big things with the Maple Leafs. After 13 seasons with the team and a final year with Vancouver, Sundin retired in 2009. 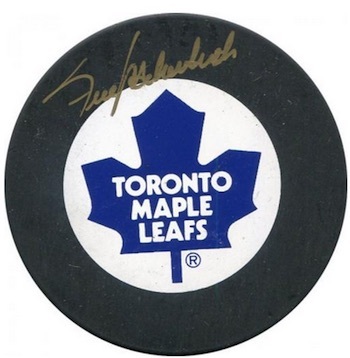 Autographed photo prices can vary greatly for Sundin but cheaper prices can be found with relative ease. Although he started his career with the Philadelphia Flyers, a trade sent van Riemsdyk to Toronto in 2012 and he has become one of the best scoring threats on the current squad. A signed photo offers a nice budget option for a current fan of the Maple Leafs. 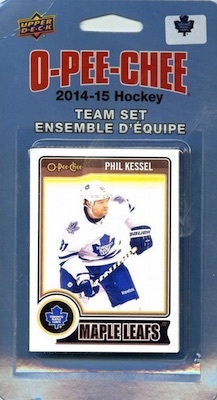 Arguably the top current player, Phil Kessel is also the main scoring threat for the Maple Leafs. A framed collage offers an appealing budget option, but Kessel autographs are a solid option too. View other plaques and collages for Leafs players here. While they have seemingly gotten away from their title tradition, 11 Stanley Cup wins is still an impressive achievement. 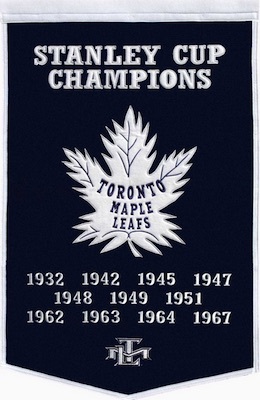 All the titles years are noted on this quality wool banner for the Maple Leafs. A fun budget gift, this blanket for the Maple Leafs features a bold look and strong functionality. 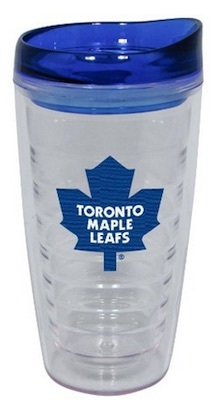 Tumblers can make for some of the most useful gifts and that fact that it includes a Maple Leafs theme makes it that much more appealing for fans and collectors. 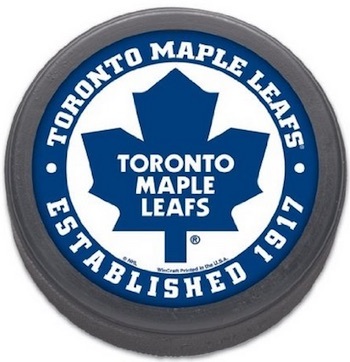 Another budget gift for the Leafs, this team puck has a direct relation to the sport but can also function as a display pice or paperweight. The puck can also be paired with the tumbler and/or the blanket to make a Toronto combo gift. Hockey cards are a popular option for fans, but they are not as simple to buy because they are so specific. 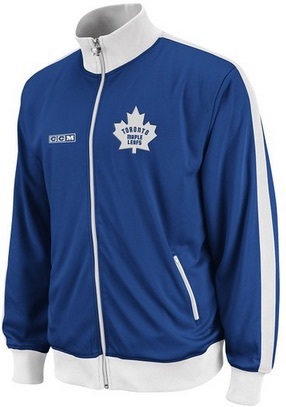 One option we recommend for budget gifts or stocking stuffers is Toronto Maple Leafs team sets. Some are sealed and some are hand-collated, but the result is the same. Make sure to verify the year of the card and the players included to make sure you are getting what you expect. 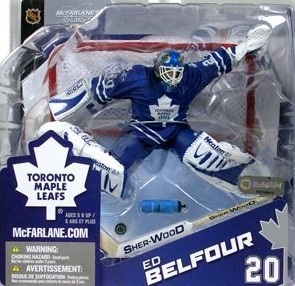 Whether shopping for a child or an adult, Toronto Maple Leafs figures and bobbleheads can be a great gift. Several different brands offer a variety of options and many players can be found from the history of the franchise. Check out specific figures on eBay using the links below. There are a good variety of different Toronto Maple Leafs team fatheads. In addition to team logo versions, players are some of the top Fatheads and three of the most popular Maple Leafs are noted below. Smartphones are the new norm and can make for an easy and inexpensive gift for a Toronto Maple Leafs fan. Just make sure to verify the exact make and model before you buy. We have included direct links to Amazon below for the most popular phone models. Jerseys remain the most common way for fans to display their love of the Toronto Maple Leafs . Replica versions offer cheaper prices and fans can also have them customized for added appeal. If you are overwhelmed by the many versions, check our detailed NHL jersey guide here. Miroslav Ihnacak Game used Toronto Maple Leafs Jersey 1986-87 King Clancy Patch! VINTAGE TORONTO MAPLE LEAFS CCM MASKA HOCKEY JERSEY MENS SIZE MEDIUM-42 NICE !